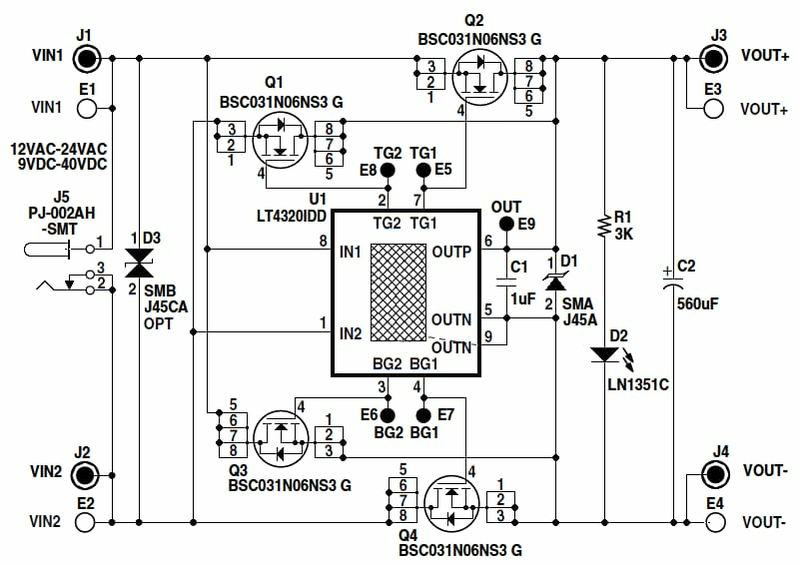 Demonstration circuit 1823A features the ideal diode bridge controller LT®4320 suitable for applications that require high current AC to DC full-wave rectification or DC polarity correction. Demonstration circuit 1902B features the ideal diode bridge controller LT®4320 suitable for applications that require low to medium current AC to DC full-wave rectification or DC polarity correction and a small compact solution. 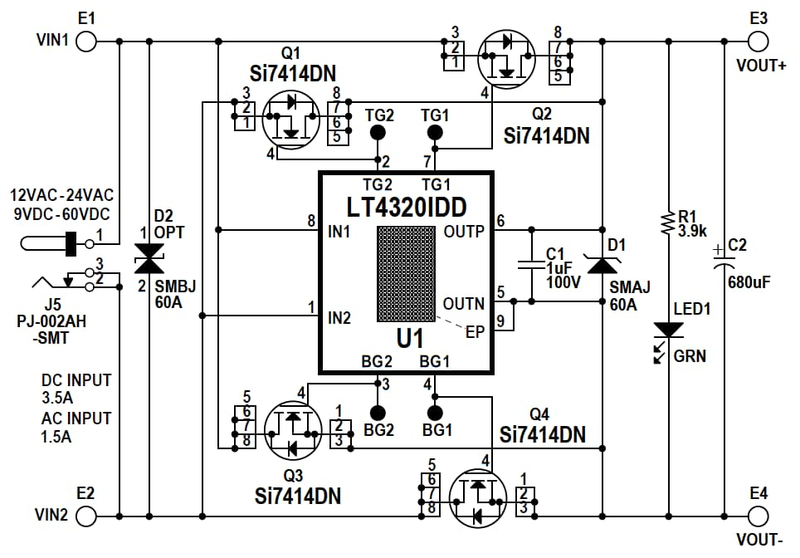 The LT4320 drives four N-channel MOSFETs to perform full-wave rectification functionally similar to a diode bridge but with much lower power dissipation.